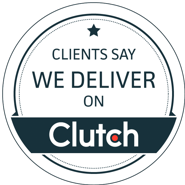 We're pleased to announce that Bit by Bit has been featured as one of the 2018 top B2B IT service providers in New York by Clutch, a leading data-driven, third-party ratings and reviews system. Our Quick Start Guide is out Now! ©2019 Bit by Bit. All Rights Reserved. Reply with "remove" to be taken out of this list. German Politicians and Celebrities are Under AttackHundreds of German parliament members, most notably Chancellor Angela Merkel, and celebrities are having their personal details leaked in what seems to be a politically motivated cyber-attack. Information including financial details, contact information, private conversations, and more was originally leaked in December on a Twitter account, which was only recently discovered and suspended. Although six of seven main political parties were among those affected, no members from the far-right Alternative party (AfD) seem to be impacted. Officials are saying that the data could have been obtained by hackers using stolen passwords to log into email accounts, social networks, and cloud-based services. Be Ready for The BreachSince Marriot International was breached, it has been hit with two lawsuits that claim the organization delayed the breach disclosure and weren't transparent. How an organization handles a breach makes a significant impact on public opinion and customers trust. An organization that is seen to be forthcoming, transparent, and honest to their customers is much less likely to see a serious migration of customers. Not having a plan – Not being prepared for a breach can lead to a panicked, unorganized response that is half-baked. Just like every organization should have a fire response plan, every organization should have response procedures in place for a breach. Downplaying the incident – Your customers deserve to know if they are at risk. Also downplaying the incident is likely illegal. Delaying disclosure – Delaying disclosure can compromise the trust of your customers and may be illegal. Oversharing / Under sharing – Sharing too much information can lead to bad actors taking note of the vulnerability and can put other organizations at risk. Sharing too little information can leave your customers at risk. 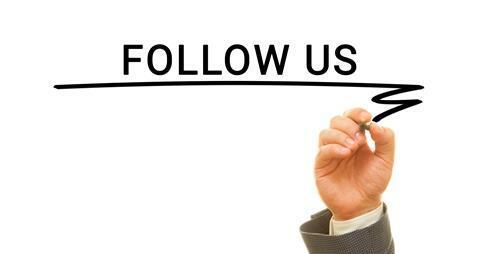 Not contacting the authorities – Involving law enforcement is free and can help significantly with the investigation. Exploit: Website compromise via newsletter hack. Luas: Light rail system in Dublin. Risk to Small Business: 2.111 = Severe: Since the investigation is ongoing, the extent of damage is not determined. However, the hacker responsible for the attack threatened to publish all compromised data if the demanded ransom of 1 bitcoin was not met within 5 days. Currently, no financial information has been exposed, but complete access to a company’s website can result in theft of IP, IT system interference, and entry into sensitive data. Individual Risk: 3 = Moderate: Given that the attack was limited to the 3,226 that signed up for the Luas newsletter and did not include payment details, the threat to individual compromises is relatively low. Nevertheless, it remains to be seen if there will be other repercussions. Customers Impacted: 3,226 people who signed up for the Luas newsletter. How it Could Affect Your Customers’ Business: Situations where ransom is involved can be sticky, since there is no assurance that the hacker will not leak the data even if the ransom is paid. On the other hand, the group or person responsible has threatened to publish all data and send emails to the users, which could cause customers to avoid visiting the website or trusting their payment information with the tram service. Also, the hacker could virtually destroy the website, resulting in the company having to rebuild their entire platform. ID Agent to the Rescue: Dark Web ID can help you proactively monitor if customer data is being leaked on the Dark Web, helping reduce the impact of such a breach. See how you can benefit here: https://www.idagent.com/dark-web/. 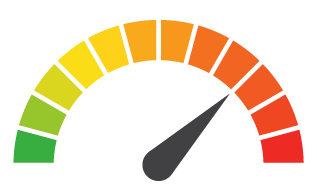 Risk Levels:1 - 1.5 = Extreme Risk1.51 - 2.49 = Severe Risk2.5 - 3 = Moderate Risk*The risk score is calculated using a formula that takes into account a wide range of factors related to the assessed breach. Exploit: Device vulnerability in modems that reveals Wi-Fi credentials. Orange: Telecommunications operator that offers a router product. Risk to Small Business: 2.333= Severe: Although such an attack can be contained by finding all the hardware products with vulnerabilities, the breach can negatively impact customers and result in the erosion of brand loyalty. Individual Risk: 2.571= Moderate: Such a compromise can be dangerous because it enables hackers to execute on-location proximity attacks, which means they can travel to a company headquarters or home to access a network and then hack into connected devices nearby. Also, Wi-FI passwords might be reused elsewhere, such as the backend administration panel, allowing hackers to control the system infrastructure and create online botnets. Customers Impacted: 19,500 customers using Orange Livebox modems.How it Could Affect Your Customers’ Business: Security vulnerabilities in hardware can be financially catastrophic, as they usually result in expensive patches, product recalls, reinvention, and customer churn.ID Agent to the Rescue: Dark Web ID™ monitors the Dark Web and can help discover this form of breach before it hits the news cycle. We work with MSP and MSSPs to strengthen their security suite by offering industry-leading detection. 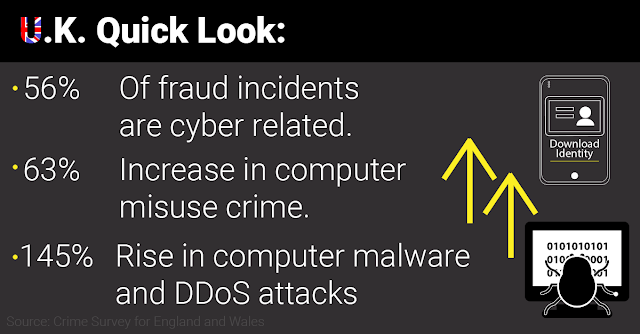 Find out more here: https://www.idagent.com/dark-web/. DNA For Pay The Leaders of Genomics England has revealed that foreign hackers have attempted to access the DNA data the organization is collecting. The reality that hackers could steal DNA data if they successfully access a network is a scary thought. As the general population becomes more aware that their data is valuable, it should also become apparent that handing over data and in this case, DNA, could result with it ending up on the Dark Web or in the hands of a nation state. While no breach occurred to this organization, the fact that they are regularly under attack should be a wake-up call. Exploit: Third-party breach via employee email phishing attack.Managed Health Services (MHS) of Indiana: Healthcare group that manages Indiana's Hoosier Healthwise andHoosier Care Connect Medicaid programs. Risk to Small Business: 1.333 = Extreme: When vulnerabilities of this magnitude are exposed within a third-party provider’s environment, the finger-pointing begins immediately. LCP Transportation, the vendor for MHS that disclosed the breach, will surface in news headlines and must answer to many other concerned clients as well. Although there is no evidence that any of the information was misused, experts are already calling for better cyber-risk management solutions to protect the healthcare industry. Individual Risk: 2.142 = Severe: When vulnerabilities of this magnitude are exposed within a third-party provider’s environment, the finger-pointing begins immediately. LCP Transportation, the vendor for MHS that disclosed the breach, will surface in news headlines and must answer to many other concerned clients as well. Although there is no evidence that any of the information was misused, experts are already calling for better cyber-risk management solutions to protect the healthcare industry. Customers Impacted: Up to 31,000 patients. How it Could Affect Your Customers’ Business: In light of multiple reports of data breaches at Humana and the Blue Cross Blue Shield network of Michigan this year alone, it is clear that the healthcare industry is in the crosshairs of cybercriminals. Other organizations should take notice, protecting sensitive health data and putting systems in place to avoid being breached. Also, this example of third-party breach serves as a great reminder for businesses to thoroughly evaluate vendors and ensure that updated security systems are in place.ID Agent to the Rescue: SpotLight ID™ by ID Agent can help proactively monitor stolen employee and customer data, mitigating losses from this breach type. 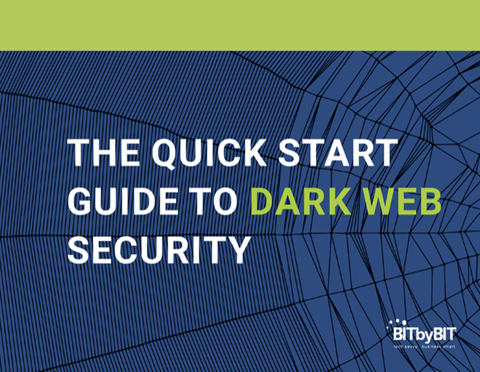 Learn more at: https://www.idagent.com/dark-web/. Exploit: LFI/RFI attack that injected malicious code into database. BlankMediaGames: Game maker of ‘Town of Salem’. Risk to Small Business: 2 = Severe: With a number as high as 7.6M users exposed, this cyberattack has the potential to be game-changing. News broke that DeHashed, a commercial breach indexing service, discovered the successful attack before Christmas and tried alerting the company, but no actions were made to secure the hacked servers and notify users until later on. Cybersecurity experts are claiming that the company’s hashing technique (PHPBB) for securing passwords was relatively weak, meaning that it is only a matter of time until hackers were able to crack them. Individual Risk: 2.428 = Severe: Stolen user data included usernames, email addresses, hashed passwords, IP addresses, and game/forum activities. Payment information or credit card details were not exposed, but compromised information can still be leveraged to gain access to payment details on other similar accounts. Customers Impacted: 7.6M users of ‘Town of Salem’.How it Could Affect Your Customers’ Business: Although BlankMediaGames clarified that it does not handle payment information, users may not fully grasp what this means. When they hear breach, they feel exposed. To further compound the issue, the company admitted that its hashing platform for passwords was not as secure as it could be. Overall, video game services are becoming “low hanging fruits” for cybercriminals due to the emphasis of user experience over security and increasingly growing value of digital “in-game” goods or purchases. ID Agent to the Rescue: SpotLight ID™ is backed by our $1M identity theft restoration policy, and can help MSPs’ clients proactively protect customers while enhancing overall cyber security awareness. Learn more at:https://www.idagent.com/identity-monitoring-programs. Exploit: Unclear at this time. Quora: A popular question and answer site that boasts 300 million monthly active users. Risk to Small Business: 2.333 = Severe: People are not soon to forget that the question and answer site was unable to keep their data safe. This could cause a migration from any site to another similar one, something that is common among social media sites in particular. Customers Impacted: Unclear at this time. How it Could Affect Your Customers’ Business: Quora handled the breach very well, with the CEO releasing a blog post detailing what they know and apologizing to their users. The amount of time it will take for the organization to regain their users’ trust is unclear. The transparency by the organization’s leadership will greatly help it bounce back sooner than if they hadn’t responded as such. 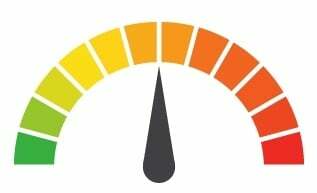 3 - Moderate Risk*The risk score is calculated using a formula that takes into account a wide range of factors related to the assessed breach. Humble Bundle: Humble Bundle, Inc. is a digital storefront for video games, which grew out of its original offering of Humble Bundles, collections of games sold at a price determined by the purchaser and with a portion of the price going towards charity and the rest split between the game developers. Risk to Small Business: 2.333 = Severe: The breach only contained user’s subscription status, but it is believed that this could be the first part of a more extreme breach. Because the bad actor knows if user’s subscriptions are active, inactive, or paused, they could send out spear-phishing emails about the subscriptions that would trick users into clicking. Individual Risk: 3 = Moderate: No information directly related to the individual has been compromised other than the subscription status of users. Customers Impacted: A “very limited” number of people. 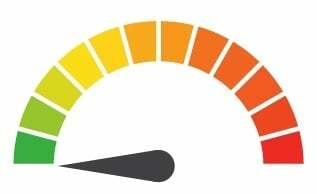 1 - Extreme Risk2 - Severe Risk3 - Moderate Risk*The risk score is calculated using a formula that takes into account a wide range of factors related to the assessed breach.